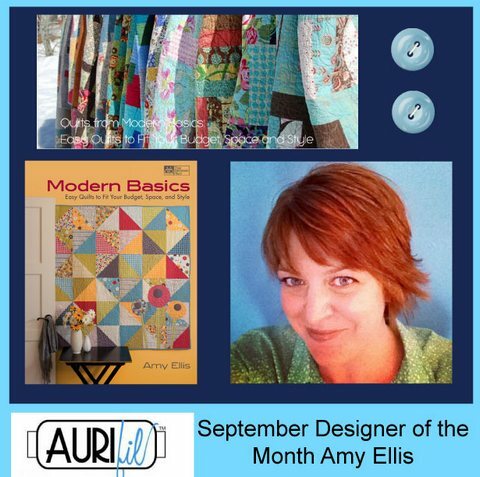 September Designer of the month, Amy Ellis! 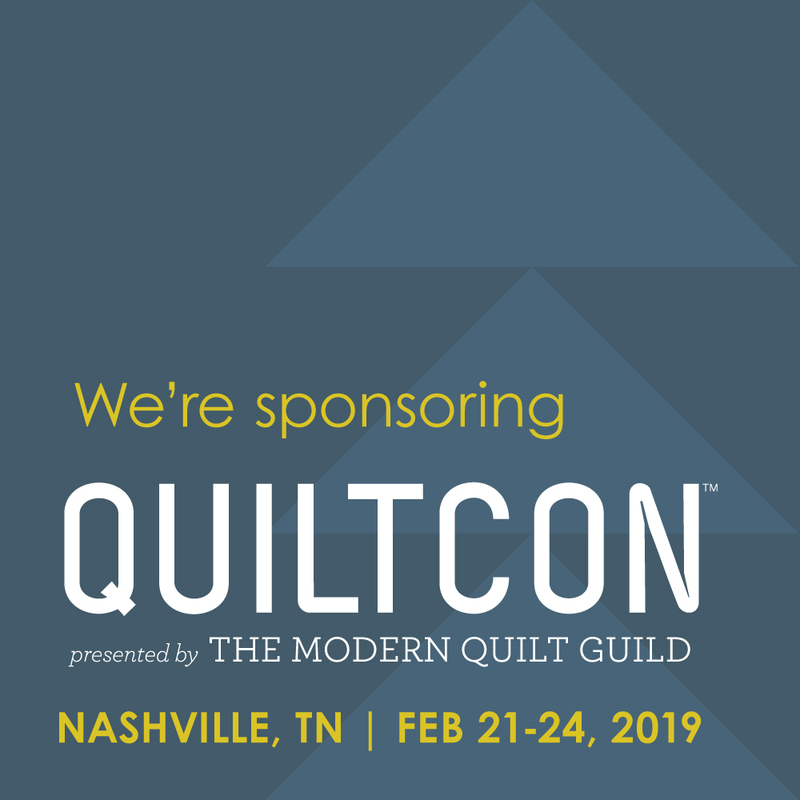 Hi I’m Pat Sloan the Aurifil Designer of the Month coordinator. 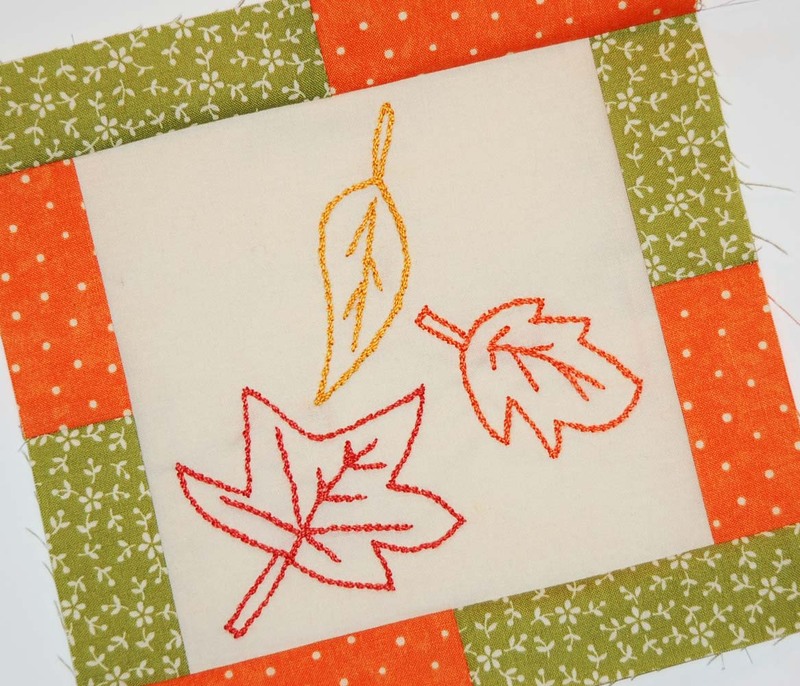 September is the start of fall for those of us in the northern half of the world and our September Designer Amy Ellis is all about fall! 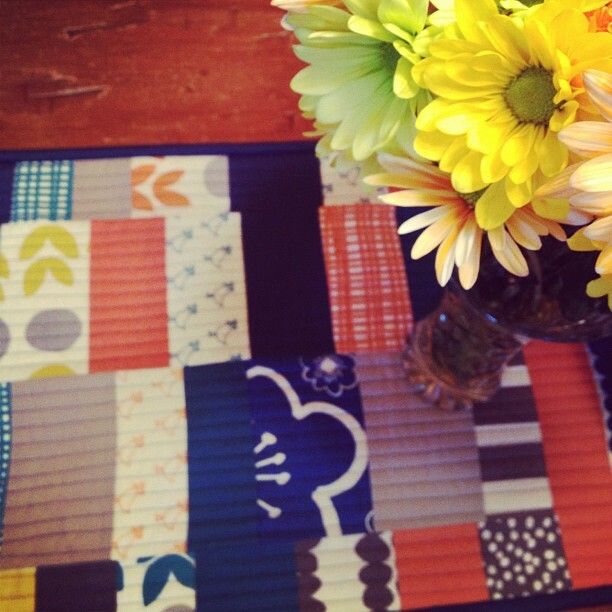 Amy is an author, pattern designer and the force behind the blog “Amy’s Creative side”. I know you are going to love Amy’s interview and her block is quick and easy.. which means you can catch up on some of the others.. wink! Let’s get to know Amy! My grandma has always done embroidery and cross-stitch, and taught me as a girl. I don’t always do hand work, but love it when I sit and take the time. 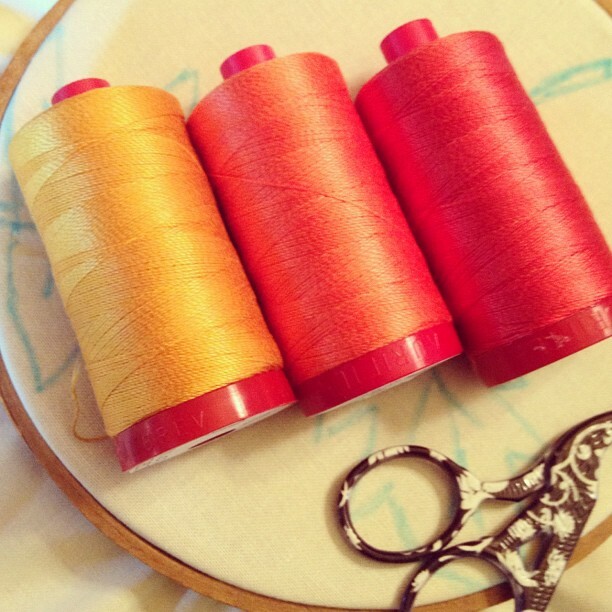 Stem or chain stitch – I love the depth they add to fabric. Did you work at another career prior to this … what was it? Do you still do that career while having your design business? I’ve been blessed to stay home with our kids, and have added this creative outlet for my own sanity (5,7,8 &12). 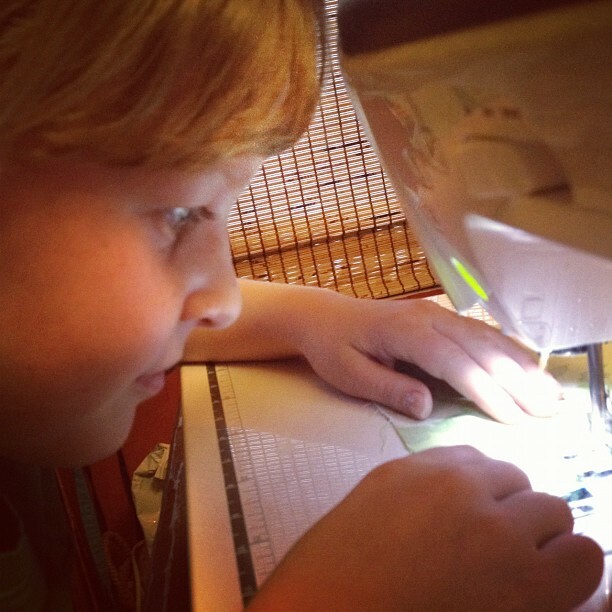 I sew at the kitchen table! It’s not always roses and sunshine, but I do like being in the midst of my family while I create. I always say “find space, where you need it!” Stow things just out of the way enough that they are handy when and where you need to use them. 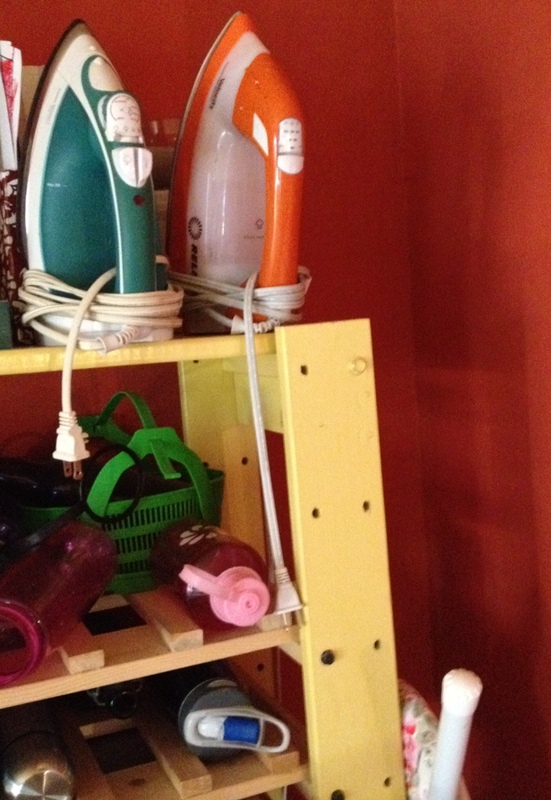 I stow my irons on the top of this shelf in my kitchen and the ironing board in the space next to it. It’s always handy, but easy to put away too! 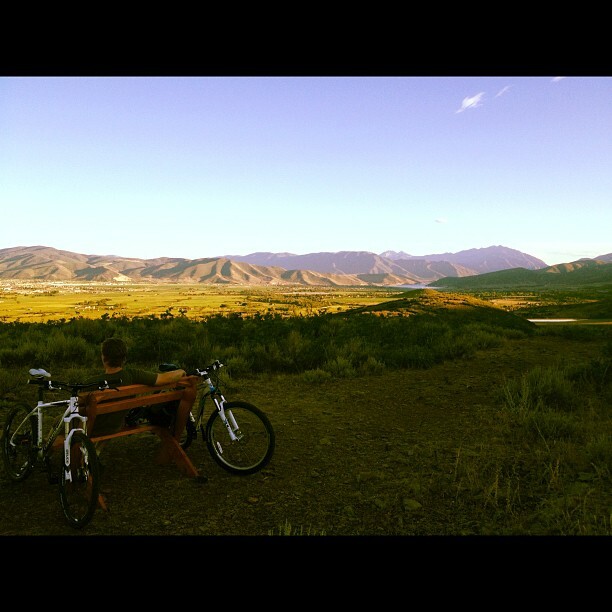 My kids – seeing their own personalities and sense of pride emerge as they grow. 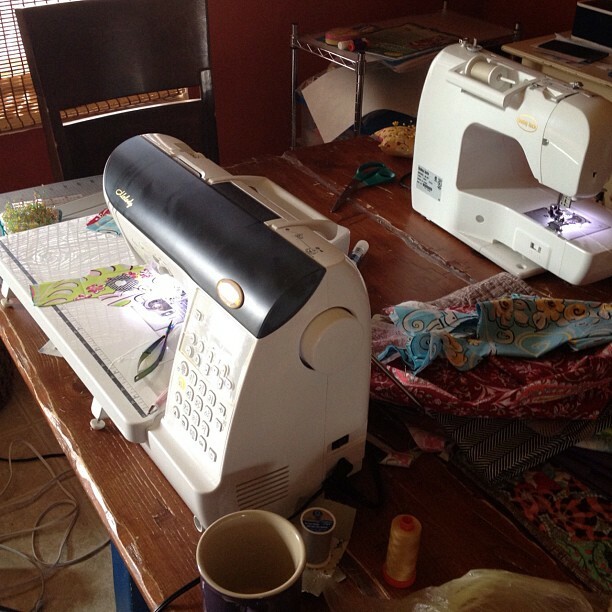 And recently they have all been asking to sew with me – that means I’ve done something right! I love sharing creative time with them. I’m always on the lookout for inspiration, my phone has random pictures on it that will mean nothing to anyone else! I also collect pages from magazines that speak to me in one way or another. After that, I’ll sketch on paper, or in EQ to get a design that I’m excited about. The 50 wt neutrals go first here, cream, gray and white. 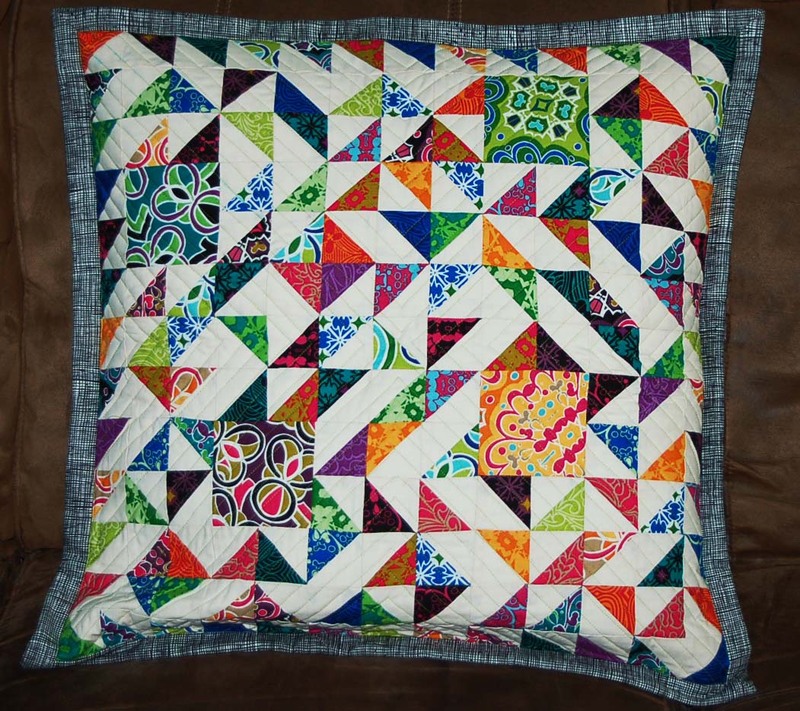 However, I have Sarah Vedeler’s Silk Stars Collection, and love using those for quilting or applique. I tend to keep things simple – a great hoop is always a favorite, one without anything to catch my thread. 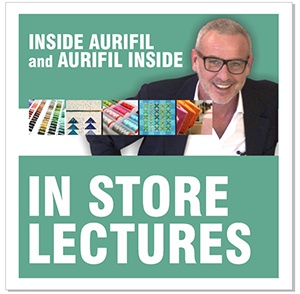 I would love to chat with Amy Butler, to get a glimpse into the empire that she has created based on her creativity. 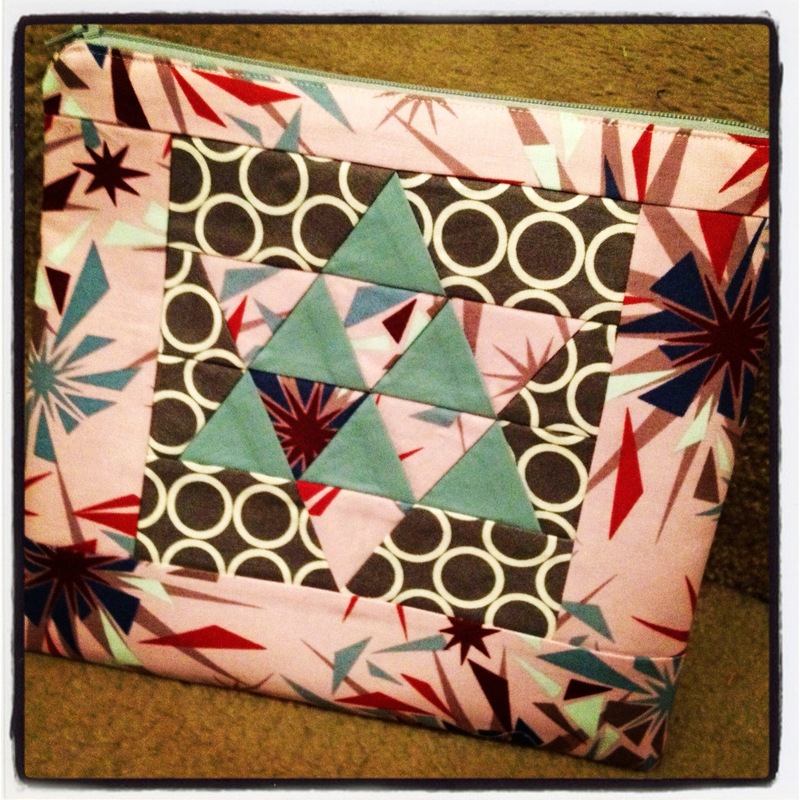 I’ll be teaching at The Sewing Summit in October, and would love to do more! Aanything else you’d like to share? I have a new book coming in January – Modern Basics II – I’ll share information on my blog when it is available for pre-order! 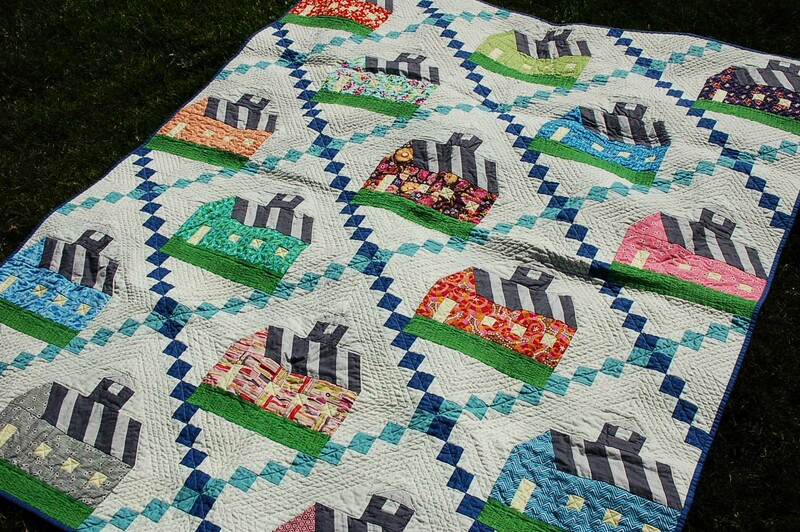 I also have a pattern in the current Generation Q magazine, and the next Quilt Scene coming in October. The Book you are currently reading – I most recently read “Trucks Roll!” – my boy is 5 years old! Your Favorite Movie – Return to Me – I can watch it again and again. Dream Vacation spot – Anywhere with a beach, and lots of sunshine. The Color you have always LOVED…..Green – there’s so many different shades, and moods within the one color. I love the crunch of leaves in the fall, and could think of nothing else for the month of September. Our leaves are just starting to turn here, and I can’t wait to take the kids for a walk and crunch all the leaves! 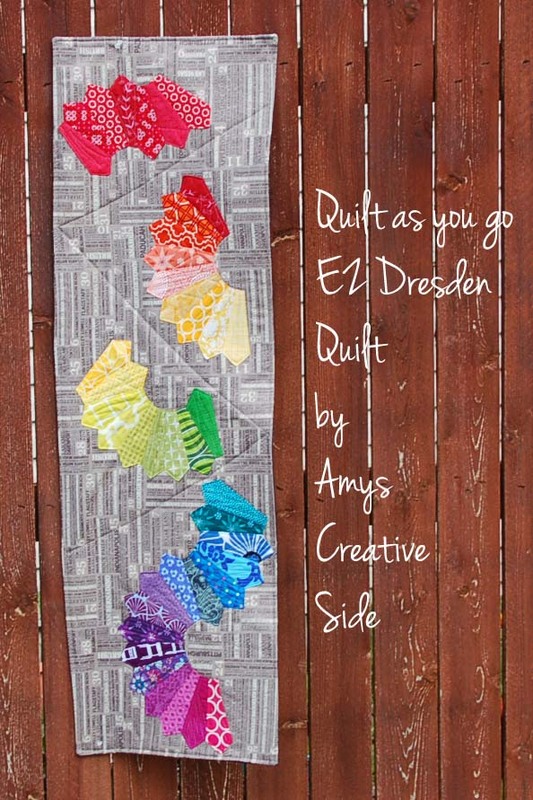 Click here to Download Aurifil BOM September 2012 from Amy! Fall is my FAVORITE season! And Return To Me – OMG! I had the DVD but can’t find it and was looking for it over the weekend. I think I’m going to have to order it online cuz I can’t find it anywhere. Love it! The leaves are already falling here. 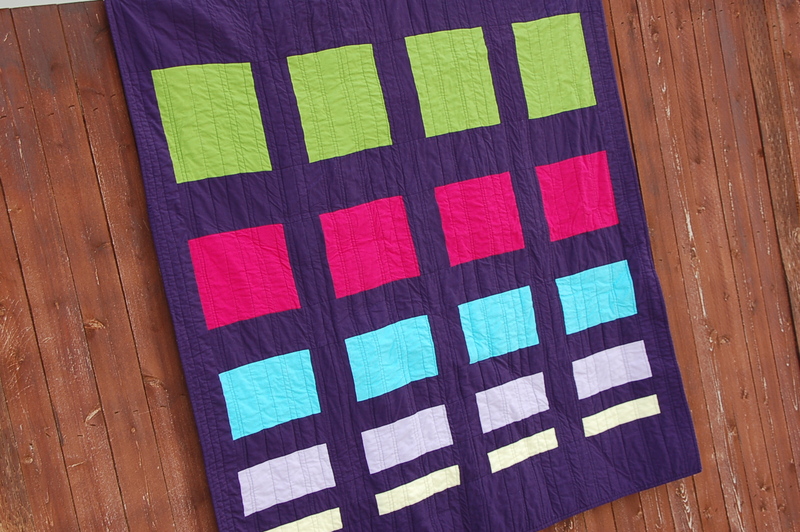 That’s a most appropriate block – I’m swooning and will enjoy stitching it!! Thanks!! Fall is my favourite time of year because I love all the interesting colours which are always changing. 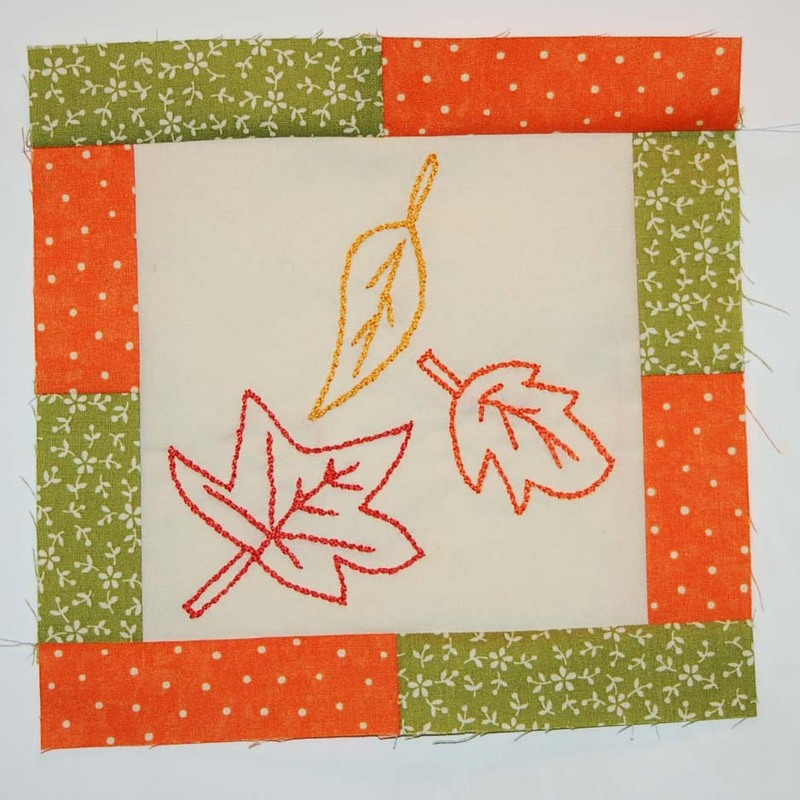 Your block is just in time for the fall season fast approaching. I have been teaching graphic and photocomposition for a long time, but my real love has always been for Teddy Bears. 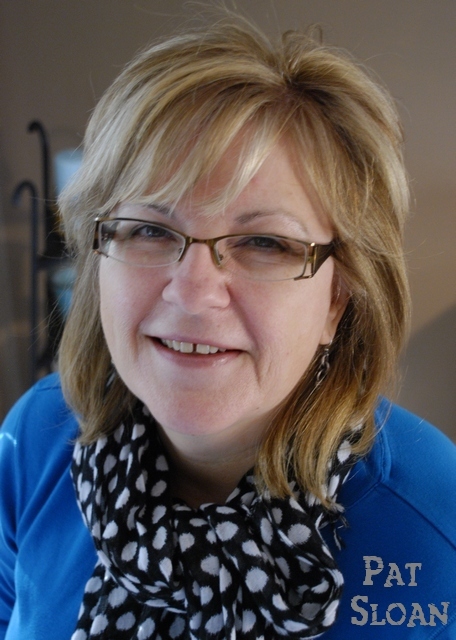 I like to introduce myself, my name is Shirley-Ann Pearman of Bermuda, thank you for allowing me to share in with your blog it is very interesting materials by Amy. 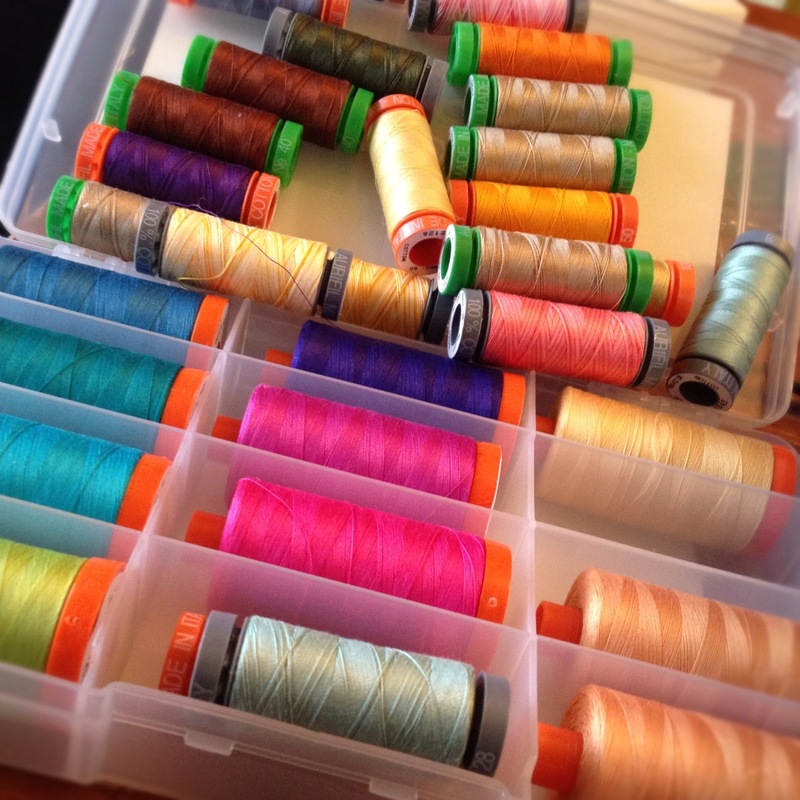 If at anytime you are doing any sewing shopping, I will be most appreciative if you can visiting the following website and blog.